Today is Veteran's Day in the Unted States, a day when America honors the men and women who have served in our Armed Forces. The domain industry has been fortunate to attract a remarkable cross section of impressive people from all walks of life, including many who have served in the U.S. Army, Navy, Air Force, Marines or Coast Guard. This year we wanted to take this opportunity to thank those friends and colleagues for their service. A few days ago we put out a call for information on how some of our industry's military veterans served and are happy to share what we learned with you today. This is just a sampling of the veterans in our midst and we welcome all we missed to drop us a note (editor@dnjournal.com) with your name (and company you now work for if applicable) and your branch of service so we can include you when we do this again. If you wish, you can also include things like your rank and/or job specialty and a photo of you in uniform). Sevan Derderian - U.S. Air Force: Well-known throughout the industry after stints with many leading companies, Sevan is now with Frank Schilling's Uniregistry.com. David Eccles - U.S. Army: David, who is now the owner of TNTNames.com, served in the Army from 1997-2002, spending his enlistment time at Ft. Sill, Oklahoma where he was a Canon Fire Direction Specialist. Brian Gilbert - U.S. Air Force: Brian now works for Thomason Management who manages the Innovation HQ portfolio. He served in the Air Force for almost 13 years, first assigned to the 438th OMS at McGuire AFB, New Jersey, then to the 635th AMSS at Hickam AFB, Hawaii. 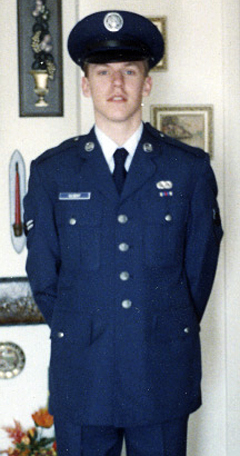 Brian was an E-6 (TSgt) aircraft mechanic who worked on planes like the C-141, C-5, C-17 and other large cargo planes. 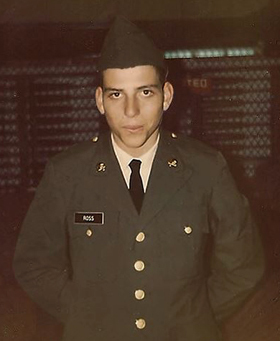 Ron Jackson - U.S. Army: After being drafted during the Vietnam war, the editor and publisher of DNJournal.com served for two years as a Radio/TV Specialist at Fort Gordon, Georgia. The reporting team in his office included Steve Kroft, the current co-anchor of CBS-TV's 60 Minutes. Daniel Law - U.S. Army: Daniel, who co-founded Rook Media (a company profiled in our April 2013 Cover Story) enlisted in the Army right our of high school. After his time in the service, Daniel graduated from the Ivy League's Columbia University, then entered the domain industry as one of Sedo's first employees in 2003. William Mathieson - U.S. Army: This domain investor served in Vietnam from 1969-1970. William, who reached the rank of Sergeant, nearly lost his life to an RPG round on Christmas Day, 1969. He recovered after being sent to Japan for treatment. Roy Messer - U.S. Air Force: Roy, one of the industry's most successful domain investors (and nicest guys), served in the Air Force from 1966-1970 at the height of the Vietnam War. Victor Pitts - U.S. Navy: Victor, who is currently the Director of Domain Services at Above.com, was an Aviation Electronic Technician 3rd Class in the Navy. He served aboard the USS Saratoga (aircraft carrier) CV-60 on two Mediterranean cruises during the Cold War. in the book Snetterton Falcons). Lt. Rosberger was one of only two survivors of the crash. Had he not made it Scott would never have been born. 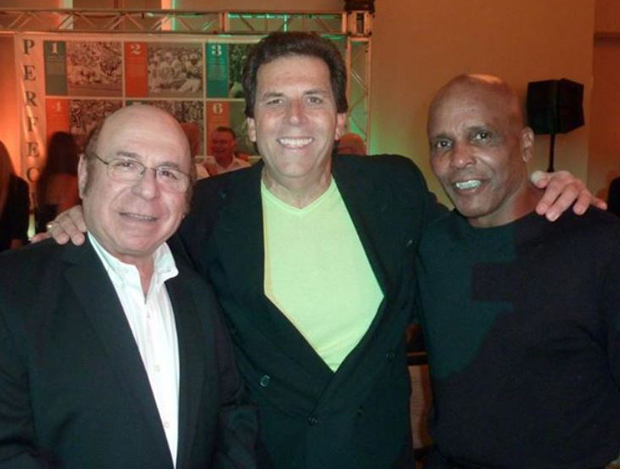 Fort Polk, Louisiana with him, Garo Yepremian (left) & Lloyd Mumphord (right). 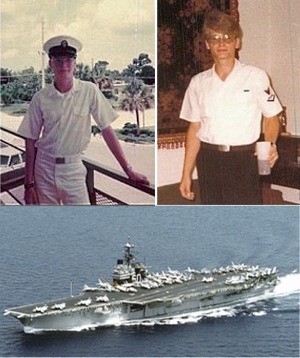 Tom Sauffer - U.S. Navy: Domain investor Tom Sauffer, who currently lives in Plattsmouth, Nebraska, served in the Navy from 1970 to 1974. He was a Radioman third class and was stationed at two different Naval Communication Stations - one in Virginia and the other in Londonderry, Northern Ireland. Tom, who worked ship to shore communications at both locations, more recently retired from CenturyLink Communications where he was a network technician. 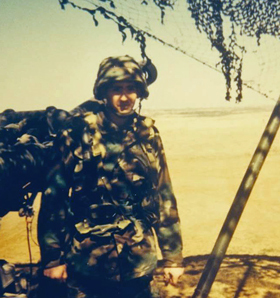 Marcia Lynn Walker - U.S. Army: Marcia, a well-known domain investor who has been in the business for well over a decade, was an officer in the U.S. Army. Warren Walker - U.S. Air Force: Marcia's husband and business partner, Warren, was an officer in the U.S. Air Force! Billy Watenpaugh - U.S. Air Force: Billy, like Sevan Derderian, is another Air Force veteran who has since enlisted with Frank Schilling's Uniregistry.com. Wayne Wheat - U.S. Army: Wayne, who is well-know throughout the industry as the go to auctioneer for live domain auctions, served as an infantry Captain in the Army. A big thank you to every man and woman noted above, as well as the many others in our industry who have served their country. 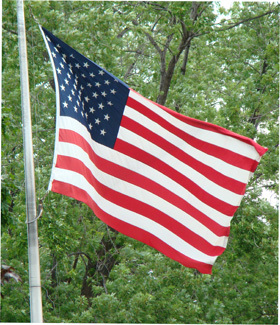 We want you to know that your service is appreciated, not just on this Veteran's Day - but year round!